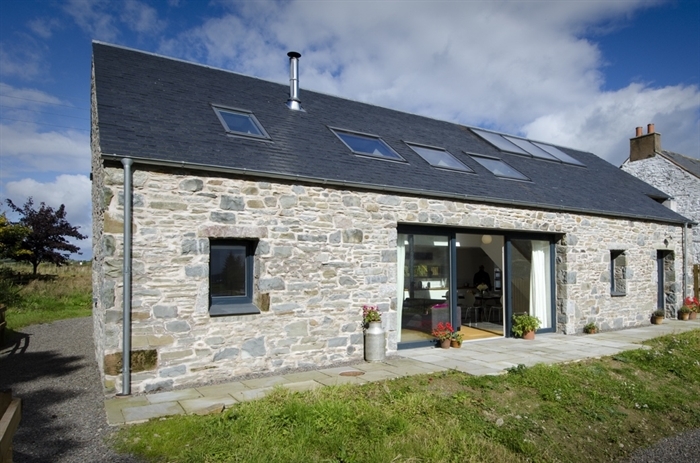 An imaginative, architect designed conversion of a former steading building to form a contemporary and eco-friendly holiday home in a rural setting. An ideal base from which to explore beautiful Galloway. This stunning contemporary conversion of a former barn offers exceptional living space with enticing views of Screel and Bengairn just waiting to be walked! 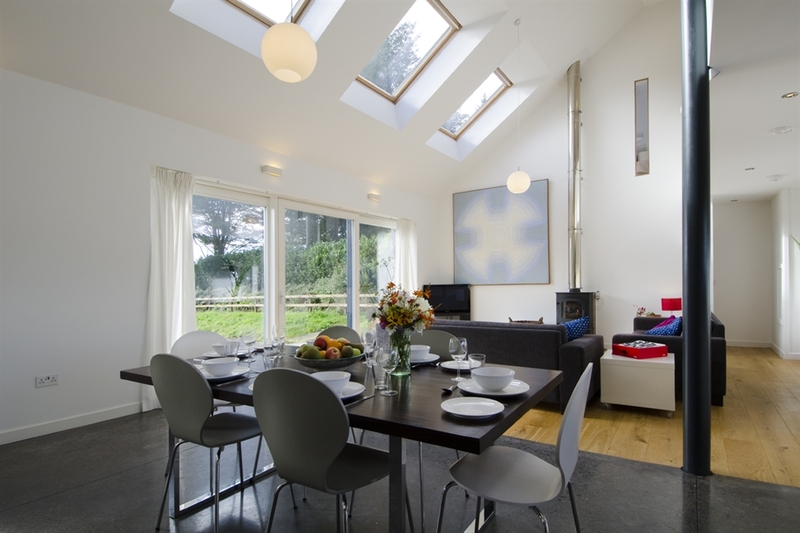 This architect designed eco house is the perfect retreat to explore the best of one of Scotland’s secret places, yet the local designated food town of Castle Douglas, is only 3 miles away. This light filled holiday house is like a living picture gallery as each window offers a glimpse of the delightful surrounding countryside. The house offers a cosy atmosphere thanks to the wood burner and under floor heating. There are some excellent local walks straight from the front door and within a half an hour’s drive you can be by the sea or in the forest; the choice is endless.